Its Friday!!! I have honestly been feeling like Winter is planning on staying long term as we have been having lots of rain (including a severe weather warning on Wednesday!) of course when it rains Rikki gets drenched and that makes things interesting to say the least. He has always loved water which is strange for a cat and I think he just likes the new smells and creatures it brings out. 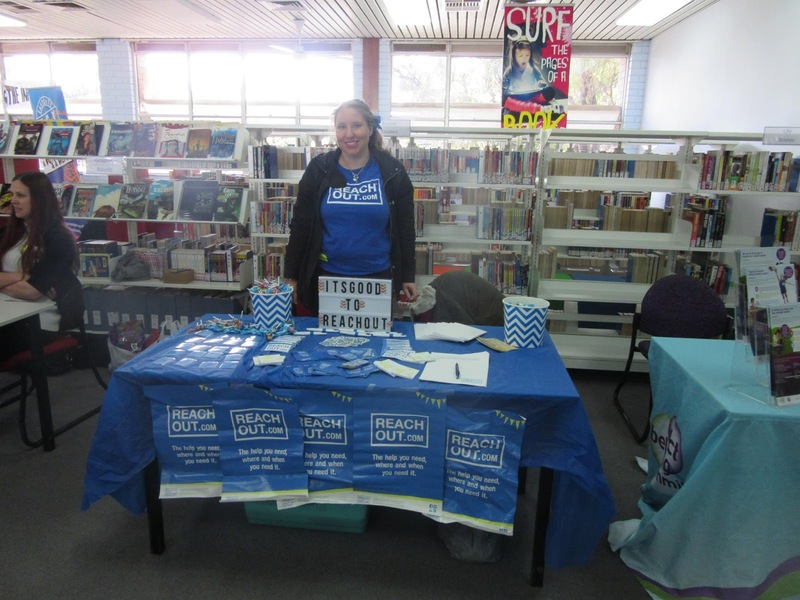 Last Monday I did a stall for ReachOut which went really well, it was up in the hills at a high school and for 2 hours we had kids dropping by the stall. 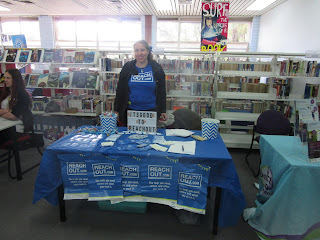 I had spent the week leading up to it making Mental Health Memory and that was a huge hit. I had one set of cards (which were then mixed up and laid facedown on the table) with an app, fact sheet or service that ReachOut offered and the other had a screenshot of it and they had to match the cards, so for example on one card there was anxiety and on the matching card was a screenshot of a fact sheet all about anxiety. Kids then played it either alone or with a few of their friends to win a notebook/high lighter/post it notes it really helped them understand what ReachOut does and was a great interactive game. I was thankful that I reinforced the cards by sticking them to (blue) cardboard then laminating them, it was a bit more effort but it means I can use them multiple times for other stalls. Easy Caramel Cake - I made this cake for Bible Study last Wednesday and it was a huge hit! People are still talking about it a week later and I am pretty sure I have found my Mum's new favourite cake. Poke cakes are currently in and I have been wanting to try my hand at one for a while so when I saw this recipe I figured it was worth a shot. It turned out really well and tasted amazing, it was a bit sweet for me but the icing did cut down on it and while I don't think I could make it every week it, I will make it again. For the caramel sauce I used a jar of Coles brand Caramel Sauce which can be found with the baking ingredients (like chocolate chips, vanilla essence etc.) which I then warmed in the microwave for 1 minute and poured over then I topped it with salted caramel ice cream topping (also Coles). I also made another for Sunday lunch just using the salted caramel ice cream topping and it worked out well too. I would be interested to make it with home made caramel sauce but I was lazy and using store bought is what makes it easy. Covergirl Colourlicious Jumbo Gloss Balm Sheers - I am kinda obsessed with lip gloss/lipstick/lip balm and I am always after something that can add a swipe of colour to my lips while not drying them out (liquid lipsticks terrify me for that reason) and I grabbed a couple of these balms when I was in Priceline last week and they are amazing. They have great staying power and feel so nice on, plus they are great alternative to LAQA&Co lip lube (which I also use regularly but are only available online). How You Can Help Someone Who Is Going Through a Mental Illness - I did this post after people told me they found the tips at the bottom of my anxiety post helpful and I figured why not do a whole post based on what's helpful or not if you know of someone who is going through a mental illness. Its full of useful realistic ways that will actually help based on mine and other people's experiences. 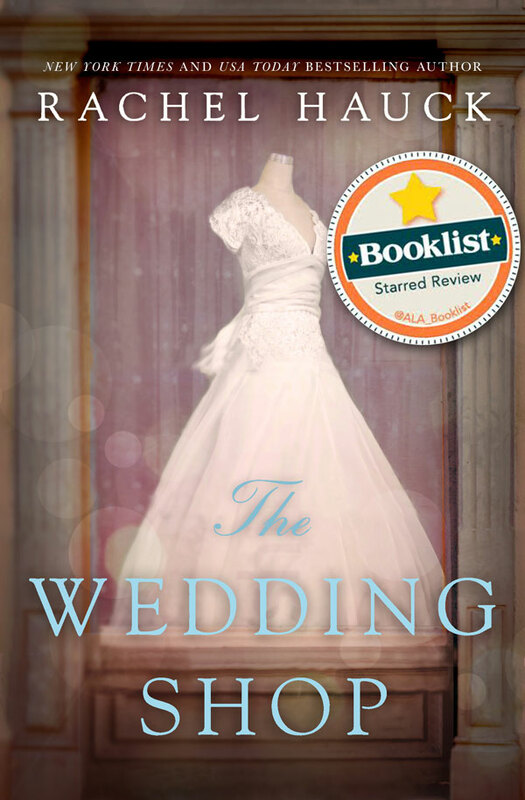 I find you can never really go wrong with Rachel's books and I am looking forward to reading more about Haley and Cora and their stories, in The Wedding Shop. 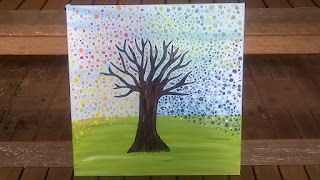 Tree Painting - I enjoy painting (in high school my blazer was always covered in paint much to my Mum's annoyance) and do it as a way to relax (more times than not while watching something). One of my friends is currently building a house and she is due to get the keys next month so I figured I would paint her a picture. Ages ago she showed me a photo of a painting on Pinterest that she liked so I did my own twist on it and its turned out really well! 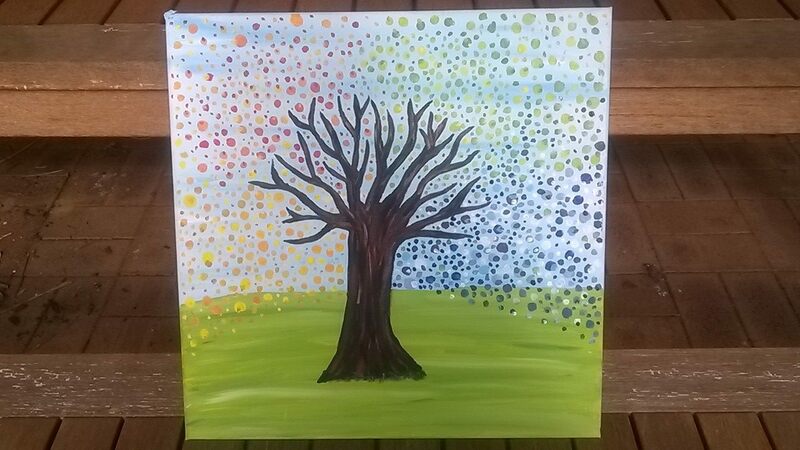 Painting all the dots was really relaxing and I did it over an afternoon. ***As I have said in previous posts I have been shortlisted for a job and was expected to have an interview a few weeks ago but have since heard nothing. I finally managed to get through to the person this afternoon and was told that the phone call never guaranteed a job interview and I wasn't to expect any follow up. This has left me feeling gutted, betrayed and annoyed as I spent so much time and effort following it up and no one could give me any answers! I just have no idea what I should be doing with my life!